If you are looking for a short break or your summer holiday then you can currently save up to £200* on holiday cottages in Devon if you book before 12th June 2011 with our partners Coast and Country. There are some superb Devon cottage savings on selected June, July and August weeks, in selected properties (subject to availability), for more details of this offer click here. With unspoilt sandy coves for sandcastles and swimming, miles of stunning coastal paths to explore and traditional past times such as crabbing, rock-pooling, sailing and surfing hugely popular, there is nowhere better than Devon for a cottage or apartment holiday. It will come as no surprise that Devon is not short of self catering accommodation and so you find something to meet every taste and budget, whether you are looking for a thatched cottage, something uber trendy like a luxury waterside apartment, or a stylish lodge. If you are looking for the right self catering in Devon the we have a superb selection ranging from luxury apartments with coastal views to cottages in the countryside miles from anyone, the choice is yours. 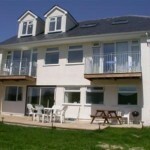 One of the Devon cottages you can make big savings on this summer is Seafields in the Blue Bay Apartments at Hope Cove. If you haven’t booked your May half term break yet, don’t worry, as there is still plenty of action-packed or quiet and relaxed breaks available for you to choose from. Visit the miles and miles of beautiful coastline that the South West has to offer, where you can enjoy sandcastle competitions, surfing and a wide range of watersports. Or for a more relaxed break, head to the Cotswolds; the essence of everything British. Hire push bikes and explore the beautifully preserved, charming towns and villages. Or don your hiking boots and take to the wild moorlands of the Peak District, taking time out to visit one of the many theme parks in the area to keep the kids entertained! Whether it’s for the full week or just a short stay, for the whole family or just the two of you, there is something for everyone. Why not book one of the larger properties and get away as a group? Ash Cottage at Combe Martin is a pretty semi detached barn conversion is ideal for couples or small families, suited to all ages for year round holidays. The cosy, open plan living room has comfy sofas around the woodburning stove for cooler evenings, and a new modern kitchen to one corner. There are two bedrooms off the hallway, the double with a modern iron bedstead and both are served by a modern separate bathroom. Radiating charm and character, this lovely retreat has its own patio and small garden to the front and the use of a spacious meadow situated across the courtyard provides a lovely spot for children to run and play. Let’s face it, 3 nights away in Cornwall Devon, Dorset or Somerset is just not long enough (after all, it was a pretty cold winter!) so give summer a proper welcome with a 7 night holiday and get a 15% discount. 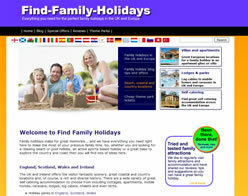 Our holiday partners Blue Chip Holidays are offering all guests who book a stay of 7 nights or more a very handy 15% off holidays from 6 May – 25 June 2011. Just click here and use the discount code ‘Jun11′ when you book and you’ll save 15%, leaving you with a little extra for your spending money too. Here’s the small print for the offer… your stay must be for 7 nights or more, and it must start between 6 May and the 25 June. You must also book between these dates to receive this discount, so why not plan an early escape this year and beat the crowds on the beach?! With unspoilt sandy coves for sandcastles and swimming, miles of stunning coastal paths to explore and traditional past times such as crabbing, rock-pooling, sailing and surfing hugely popular, South Devon is a great choice for a Whitsun Break. And if you book your holiday today you can save up to £100 OFF* and enjoy a fabulous break away with family or a loved one for Whitsun. Check out some more self catering holidays including cottage holidays in Devon, holiday parks in Devon and lodges in Devon. *Offers apply to selected weeks and properties with Coast and Country Cottages, subject to availability. Not in conjunction with any other offer or promotion. Book an impromptu Easter break in South Devon! The Easter holidays are here, and the sun is shining across the South Hams, the Southernmost tip in South Devon. For those thinking of booking an impromptu break away to celebrate Easter, we have some fabulous savings on a fantastic selection of properties. As well as great choice of accommodation, there are also many things to do and many activities going on across Salcombe, Dartmouth and the surrounding coast and countryside for visitors of all ages. Why not head to the South Devon Coast Path and enjoy the stunning views out to sea, relax in one of the award winning restaurants or visit one of the area’s popular local attractions? Living Coasts is a fantastic place to visit with the family. The only coastal zoo in the UK, they have a fun packed Easter celebration planned from 9th to the 25th of April. Home to penguins, octopus, sea ducks, and for a limited time only, Easter bunnies, Living Coasts has a host of Easter themed events lined up, including the annual egg hunt! For more information visit www.livingcoasts.org.uk. £100 off the week commencing 22nd April at this detached bungalow with superb uninterrupted views out to sea. 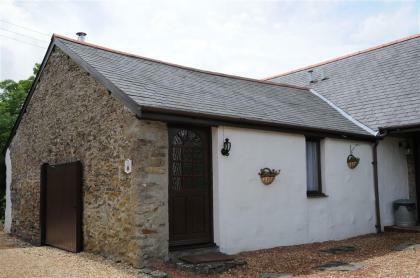 Located in the pretty fishing village of Hope Cove, within a few minutes walk of the sandy beach, Ocean View is perfect for a family looking for a coastal retreat this Easter. This spacious property has an expansive terrace area perfect for enjoying the spectacular views from. The picturesque sailing town of Salcombe is just a few miles away, with its quayside, shops and restaurants. Now just £762, under £14 per person per night, based on 8 sharing. £100 off the week commencing 22nd April at this luxury, exquisitely furnished first floor apartment. The property is spacious, light and airy, offering stunning views of the North Sands valley. Enjoy an alfresco meal or early evening drink on the private balcony, or pack a picnic and stroll down to North Sands beach, a few minutes walk away. Salcombe town centre is just a 15-20 minute leisurely walk away. Now just £691, under £17 per person, per night, based on 6 sharing. £50 off the Easter weeks commencing 23rd April at this stylish Grade II listed barn conversion, perfect for a romantic getaway for two! Situated in the tranquil countryside near to the fishing village of Noss Mayo, this VisitBritain Four star Gold awarded property is finished to an exceptional standard, with a ‘seaside’ theme throughout. Enjoy the lovely views across rolling countryside from the living accommodation, relax in the shared gardens, or play a game of tennis with your loved one on the tennis court. Now only £345 for the week, under £25 per person per night, based on 2 sharing. To see more cottages in Devon and the South Hams area or check out our new site Devon self catering for a more detailed search of south Devon cottages and self catering. Fancy getting away from it all this weekend? Stay in Wheelwright Cottage in Halwill Devon and save £100 off the price of a 7 night break. Bird watchers need not stray from their own secluded patio overlooking a small scenic lake to spot visiting kingfishers, herons and ducks! This delightful cottage, set in ‘Ruby Countryside’ noted for cycling, walking and riding, enjoys an acre of idyllic gardens with seats and winding footpaths shared only with visitors to the adjoining cottage. It is well placed for exploring Dartmoor, Cotehele and Buckland Abbey (both N.T.). Eden Project is about 1 hour’s drive. There is a shop and pub 1 mile. If this sounds like your kind of holiday call 0844 8471143. This luxury apartment is part of an elegant development, with a Mediterranean style arrangement of steps, patios and pergola-covered walkways. The apartments are finished to the highest standard, with modern designer kitchens, under-floor heating, a lift from the car park to all levels and high tech security that includes audio and electronic entrance controls. All apartments have a private patio or balcony as well as secure underground parking for one car each plus visitors’ bays. 6 Crabshell Heights is a stunning apartment offering panoramic views from the balcony and living room across the tidal estuary and to the hills and countryside beyond. This Visit Britain Four Star awarded property is situated just a few metres walk from the Kingsbridge/Salcombe estuary, and within a 5-10 minute level walk of Kingsbridge town centre and its array of shops, boutiques, cafes and restaurants. This is the perfect base for a family wishing to explore the beautiful South Hams. This spacious and well presented barn conversion has lovely views across the neighbouring gardens, orchard and rolling fields and was recently awarded Four Star Gold by VisitBritain. The barn retains many character features including original cross beams and a delightful stone fireplace, and is ideally suited to families with younger children or perhaps couples looking for a quieter location within easy reach of Dartmouth and the surrounding area. The barn is one of a pair in the grounds of Higher Ash Farm just 2 miles from the famous naval town of Dartmouth. The barns sit within 50 acres of delightful grounds including extensive areas of lawned garden, well-stocked orchard and farmland all of which are available for holiday guests to explore. The village of Stoke Fleming (with pub and shop/Post office) is 20-30 minutes walk away, and the Blue Flag awarded Blackpool Sands beach is just a 10 minute drive along the coast road.